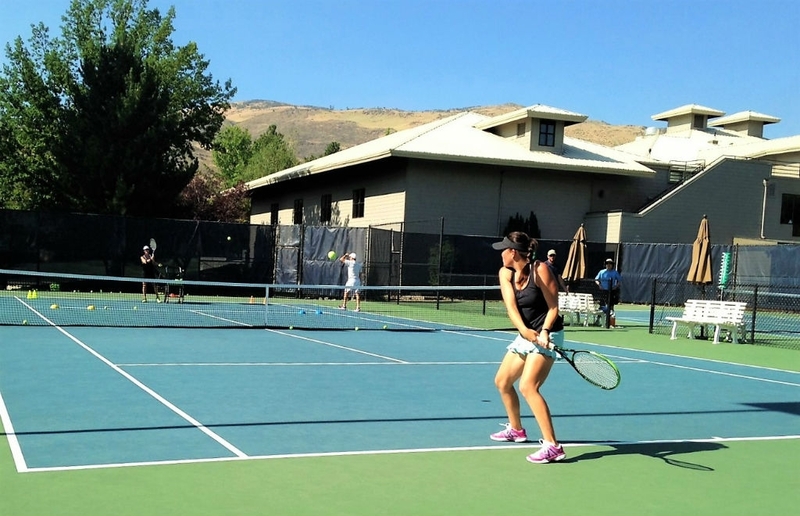 Join us in Reno, Nevada and enjoy Caughlin Club’s beautiful landscape as the backdrop for your tennis class! These adult tennis classes are designed for players ages 18+ of all skill levels. Take a tennis class that burns calories with a high-energy aerobic workout. Cardio Tennis Class focuses on tennis drills and games in a variety of playing scenarios. For additional tennis class information call us at 775-240-6505 we would be happy to help you.